When I took Ellie to the dog park this evening she plopped over on her back in the green grass and wiggled happily. 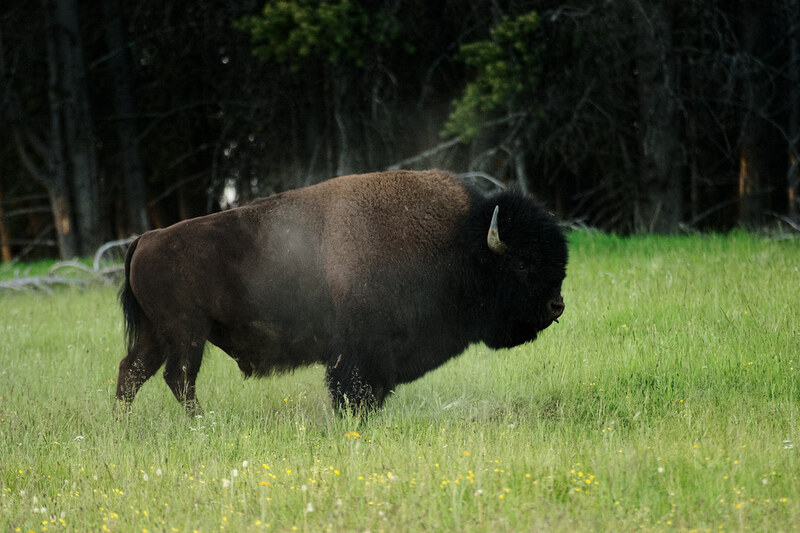 She does this frequently and it always reminds me of this bison bull that I met along the Storm Point Trail in Yellowstone. Here he shakes off a cloud of dirt after bathing in a wallow.